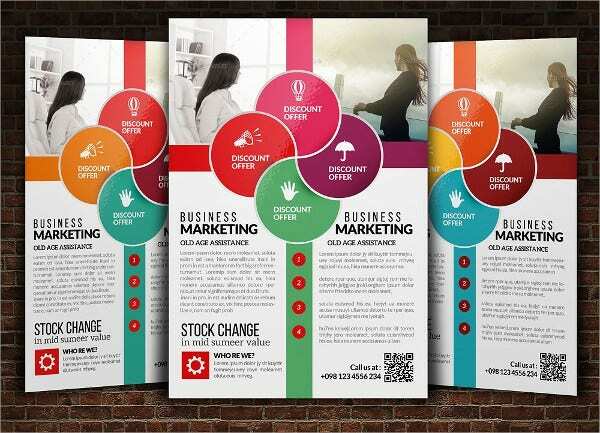 When it comes to promotional mediums, Business Flyers are always a popular option. 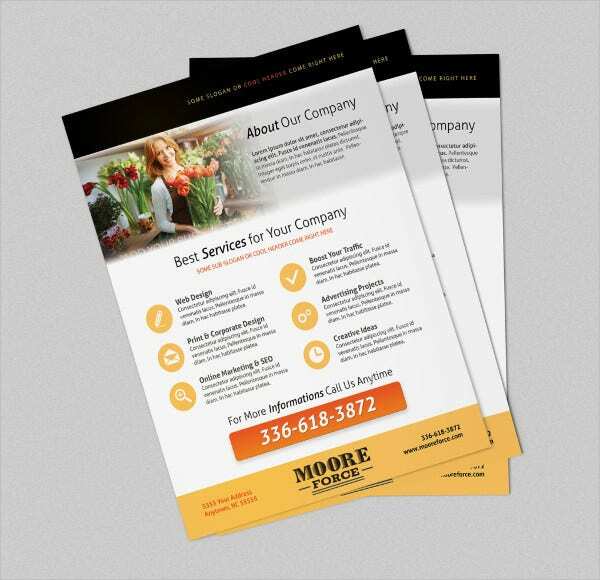 They have been in use since the traditional print era and in the modern days, the digital flyers are quite a favorite among the marketers. 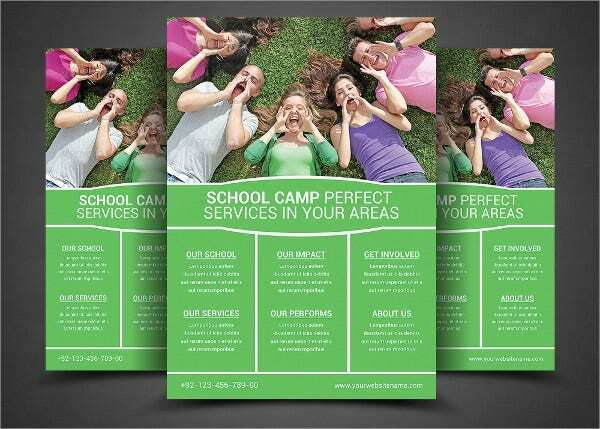 The best part about the flyers is that they are portable, small in size and hence can be easily distributed and read. 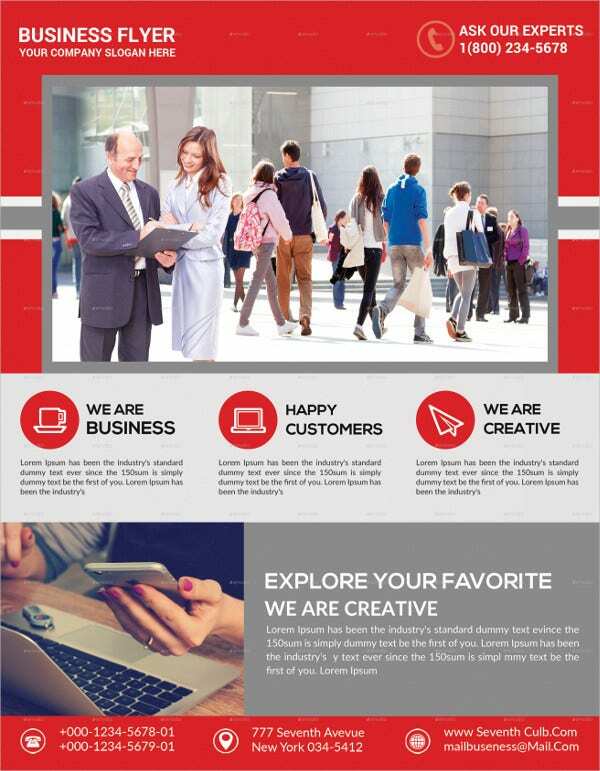 It will offer your audience the basic idea about your event or company without taking much of their time. 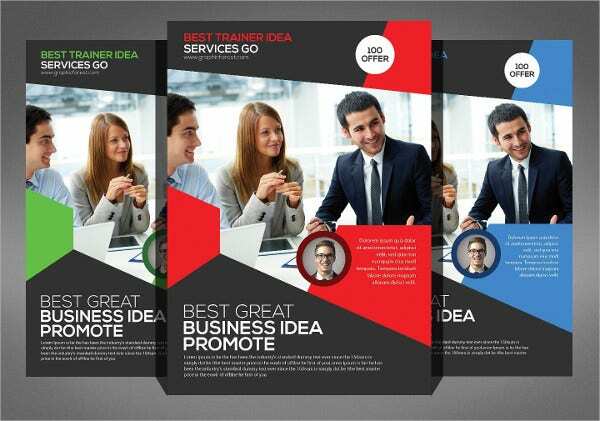 If you are looking for Professional Flyers that will help you to advertise with both image and texts, this flyer here would be the thing for you. You have it in 4 color variations. 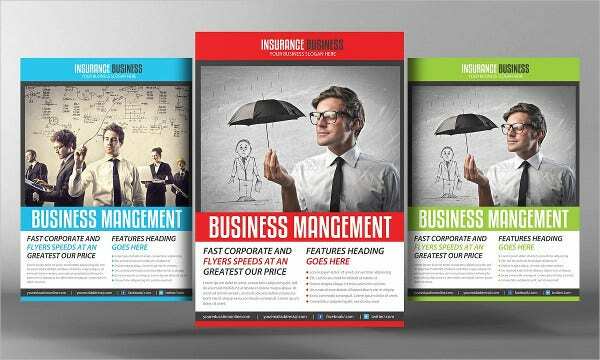 This Insurance Business Flyer presents a catchy format with its large banner at the top. 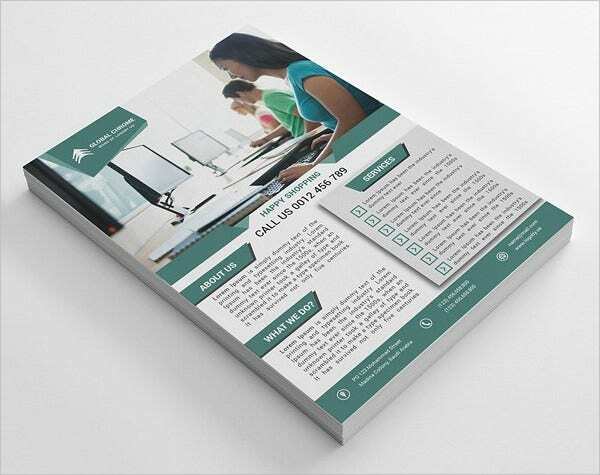 It offers you space to talk about the special features of your insurance service in legible bullets. 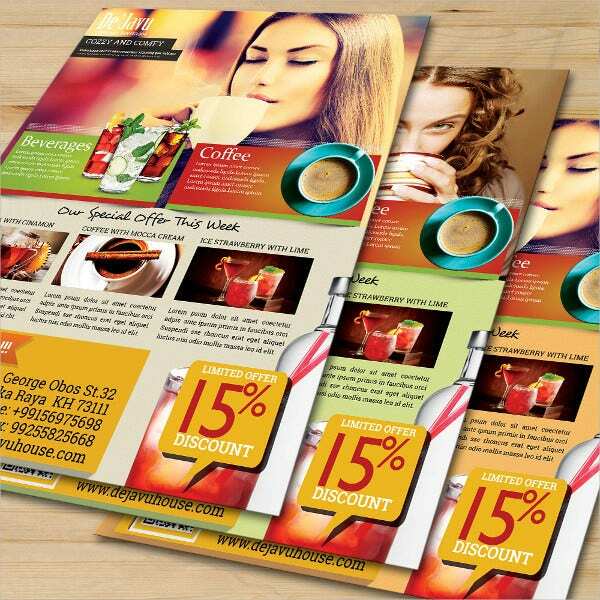 You have a very Elegant Flyer Template here that will enable you to talk about your weekly or monthly specials and discount deals with attractive images and text. 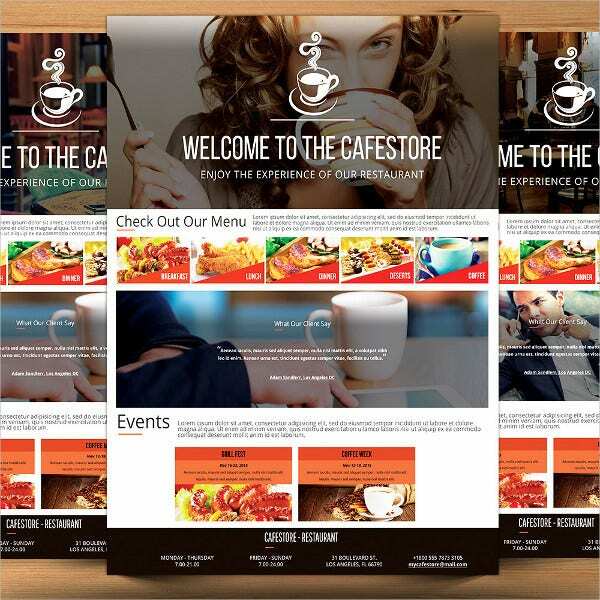 It can be used for gourmet businesses. 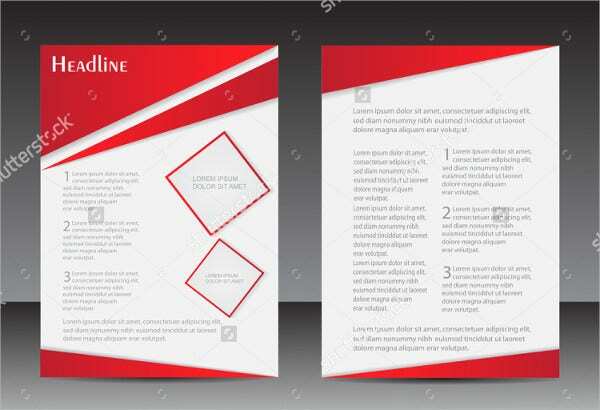 You have a very smart and attractive business flyer template here that opens up with a gorgeous image banner and below you can talk about the special aspects of your service. 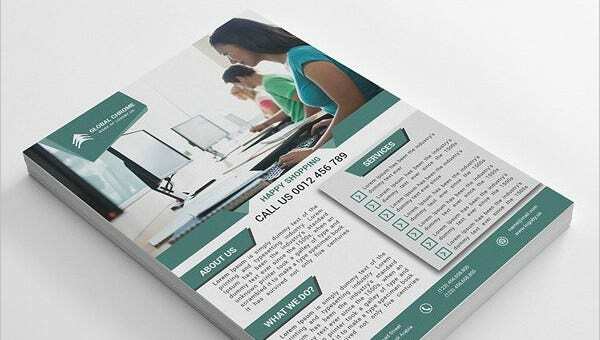 You have space at the footer for contact details. 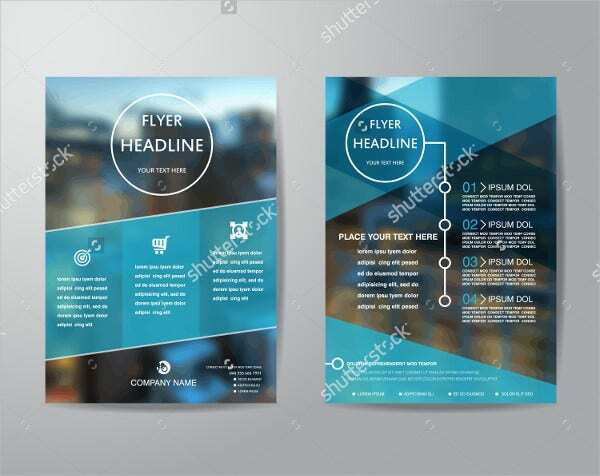 One of the best bits of this flyer is that it will enable you to present your company data in infographic presentation to assure a quick legible view of the flyer information. 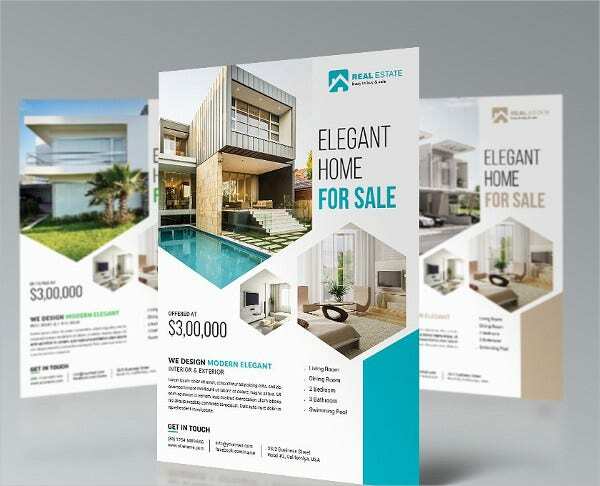 This business flyer template would be amazing for a real estate flyer as it allows you sizeable space to advertise your hot properties with images and key features. You have 3 color variations to choose from. 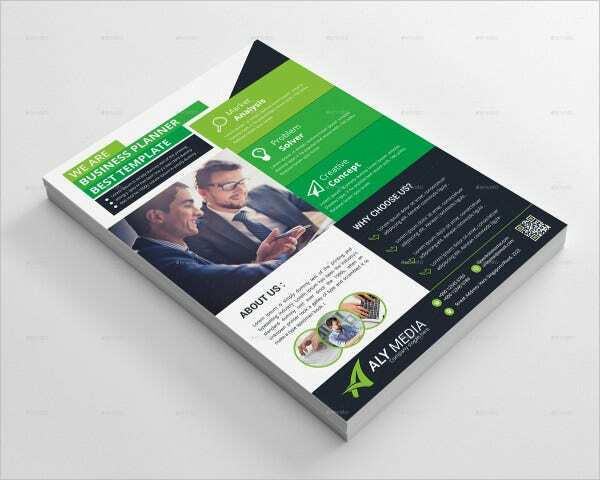 If you are looking for standard business flyers, this one would be awesome for you as it allows you to brief about the services of your company, topped by a little gist on the company itself. 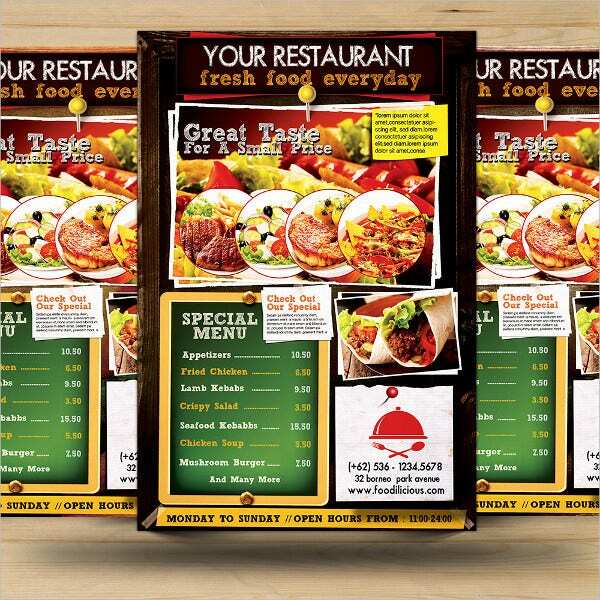 If you are looking for attractive restaurant flyers that would enable you to spread the word about your different delicacies with multiple lip-smacking pictures, this template is the one you need. 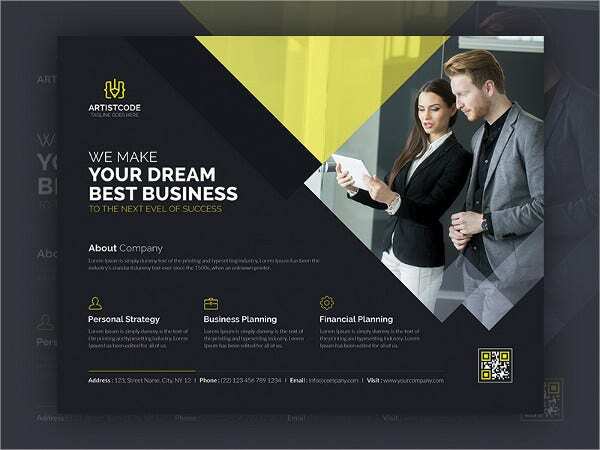 You have 3 interesting flyer variations and each of them has smartly emulated the very professional look of a real website- thereby rendering a high profile formal touch to your flyer. 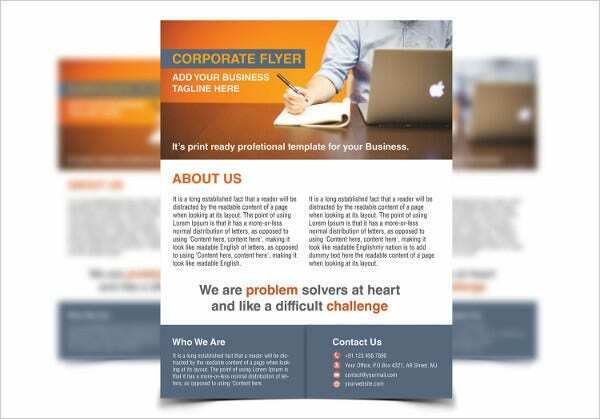 This Word business flyer template would be cool when you want sizeable space to talk about your services and company features in detail without any unnecessary extravaganza. It carries a smart minimalist outlook all through. This flyer template here would be amazing for academic institutions and you can start it with a banner image of your happy students- followed by textual briefs on important aspects of your institution and programs. 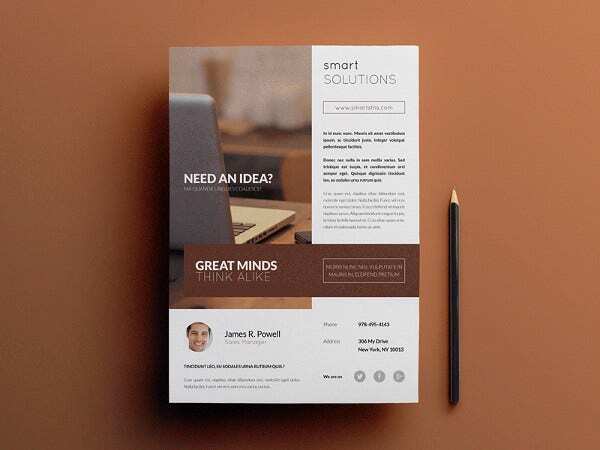 If you are looking for creative flyers where catchy headings and smart pictures will rule, this multipurpose modern flyer is sure to make your day. You have it in US Letter and A4 format. 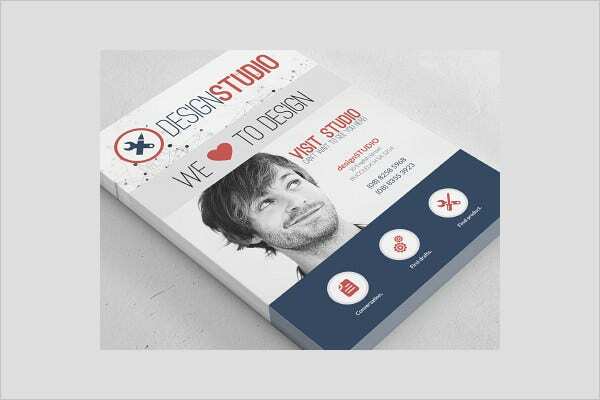 This flyer template here would be handy when you want something through which you can spread the word about the latest collections from your store and discount offers in legible bullet formats. 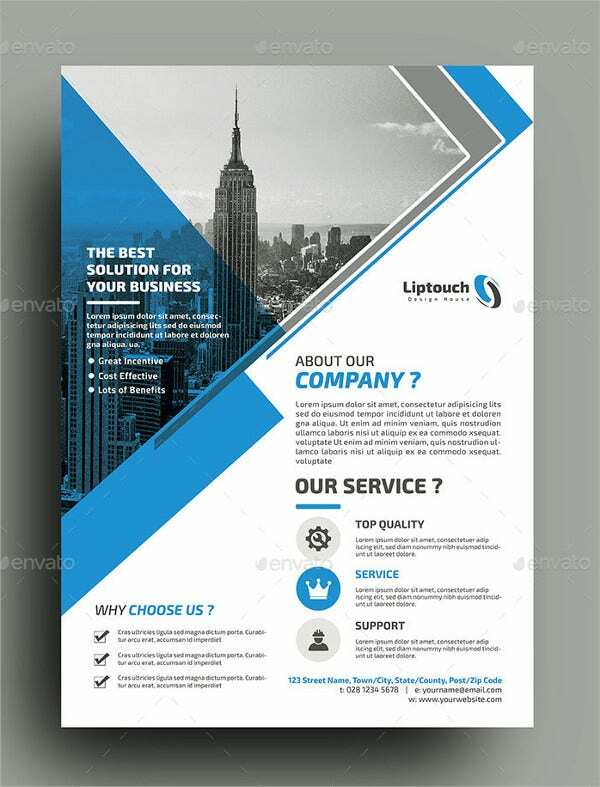 You have a contemporary business flyer template that perfectly emulates the very professional look of a website by opening with a big picture banner. 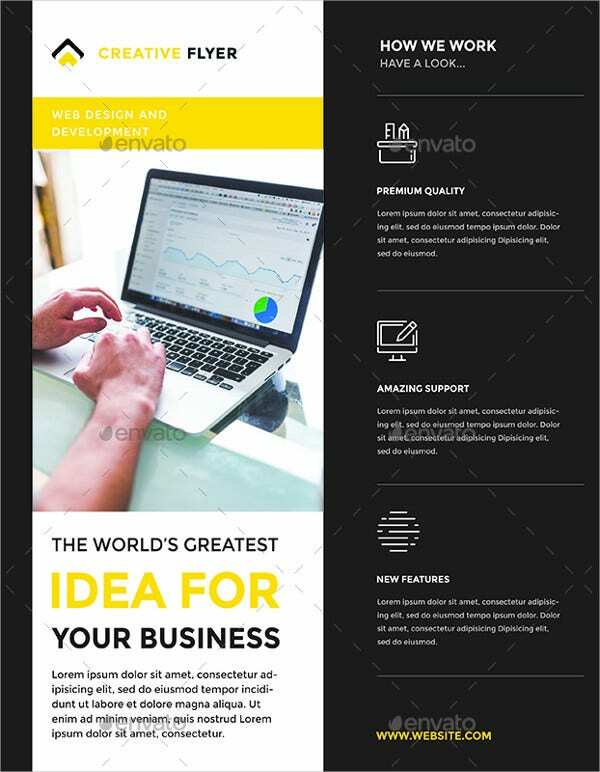 Below you can brief about your services and features. 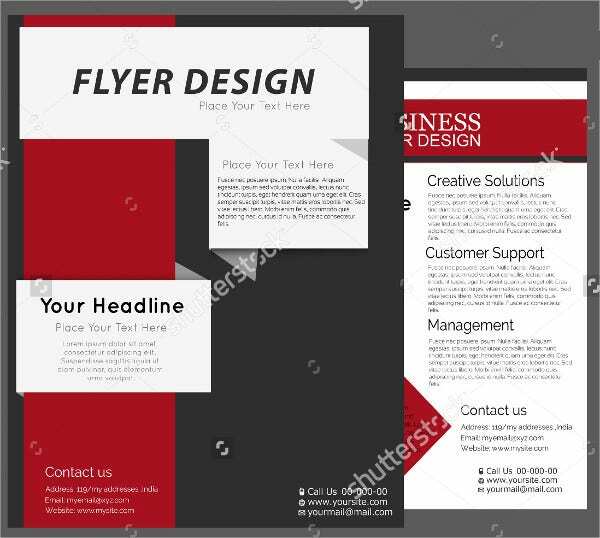 If you are looking for a smart flyer where you can detail about your multiple services, this flyer has the best format for you. 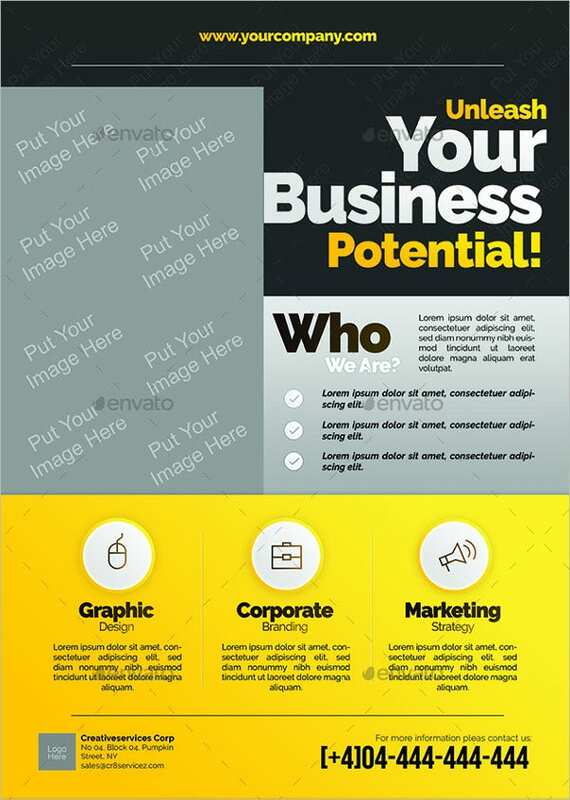 You can add a nice image at the top accompanied by a little note on your firm. 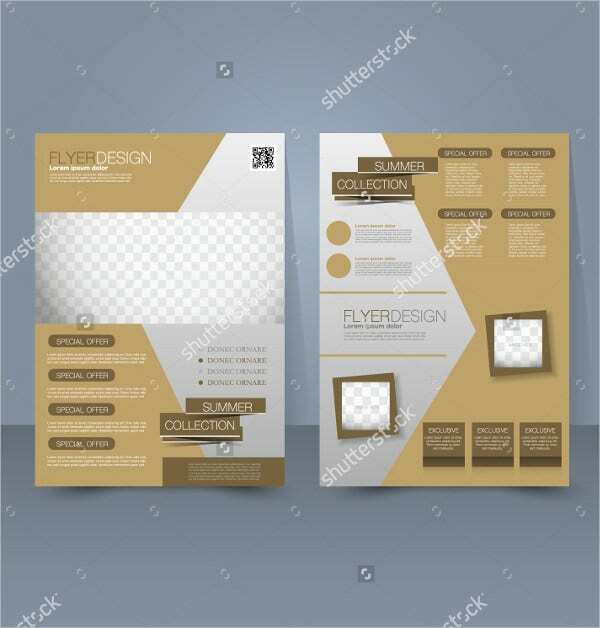 If you are looking for ideas on best business flyers, the Flyer Templates mentioned above would be the best thing for you. 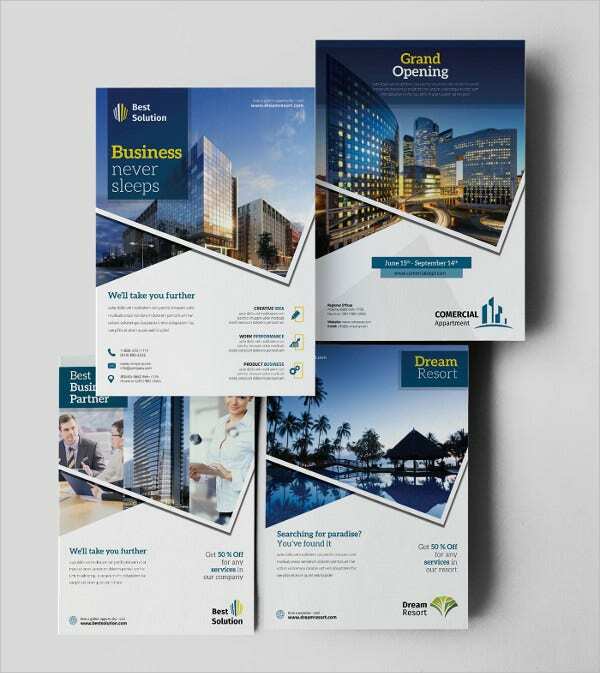 Whether you are looking for something to highlight your latest winter collections or special deals in the coming week- here you have flyers for all and for almost any industry. They are easily customizable with your data.